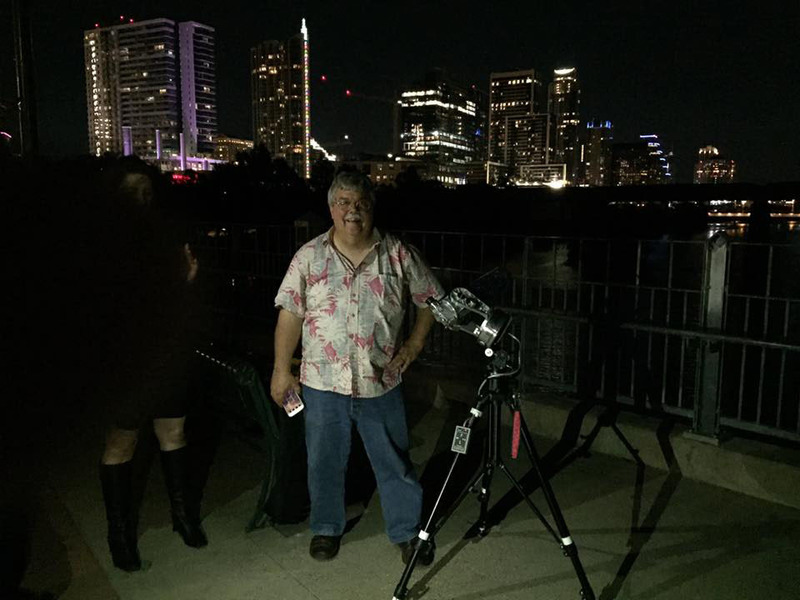 I'm happy to give talks, workshops, or star parties for groups within about an hours drive of Austin. My goal is to promote public awareness and education of astronomy and space science. As a volunteer Solar System Ambassador for NASA JPL, with sufficient notice I may be able to draw on their resources for topics touching on NASA missions. I'm happy to customize presentations for specific groups on astrophotography, solar system observing, and NASA exploration of the solar system. This will require information about the audience and goals, sufficiently in advance to allow for this. Events must be free and open to the public. Membership organizations must allow guests to attend without a fee, beyond the costs necessary to hold the event (e.g. a park admission or venue rental). Sponsor must arrange an appropriate and safe venue for the event. Commercial venues may not require purchases. Sponsor is responsible for advance public notice of the event. I will assist with publicity as needed. A pre-set rain date is recommended for observing events. I cannot endorse specific organizations or products at these events. If the event requires longer than about an hour of travel time, an overnight stay, or supplies for participants, I will expect to be reimbursed for these costs. I will not accept honorariums or gifts of value. I prefer public events that meet the guidelines above. I will consider appearing at private events that require exceptions to these guidelines, when that makes good sense. I cannot be promoted as a NASA JPL Solar System Ambassador for these private events.